Be a doll and help empower your friends during the upcoming Steam Holiday sales will ya? Valve has unveiled an expansion to their digital gifting right in time for the recently leaked Holiday sales. 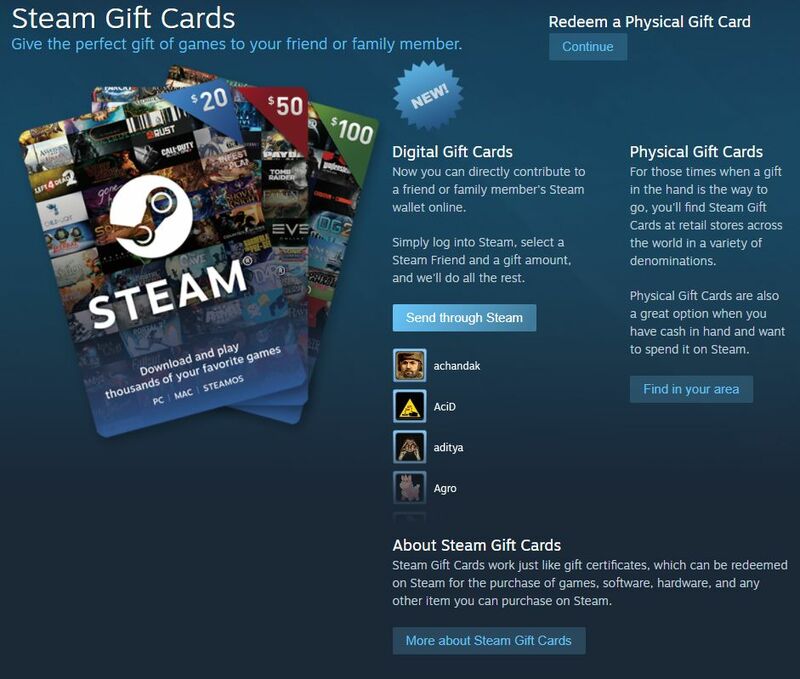 Steam Digital Gift Cards are now available and they allow you to send Steam Wallet funds directly to your friends. This new initiative expands on the incredibly popular single-game gift service on Steam and the physical gift cards available in stores. Instead of having a customizable amount, the digital gift cards operate just like physical cards with $5, $10, $25, $50, and $100 cards. You simply choose a card, choose a friend, and complete the purchase. So, go ahead. Be the enabler. Help your friends deepen an already insurmountable backlog of games. Orphan Annie ISO: Daddy Warbucks. Please PM.